Smith & Vallee Gallery is launching one of their most unique design projects and furniture collections, “The Tombstone Project”, opening on the same evening as their new Woodshop Grand Opening, July 9th, from 5-8pm in Edison. 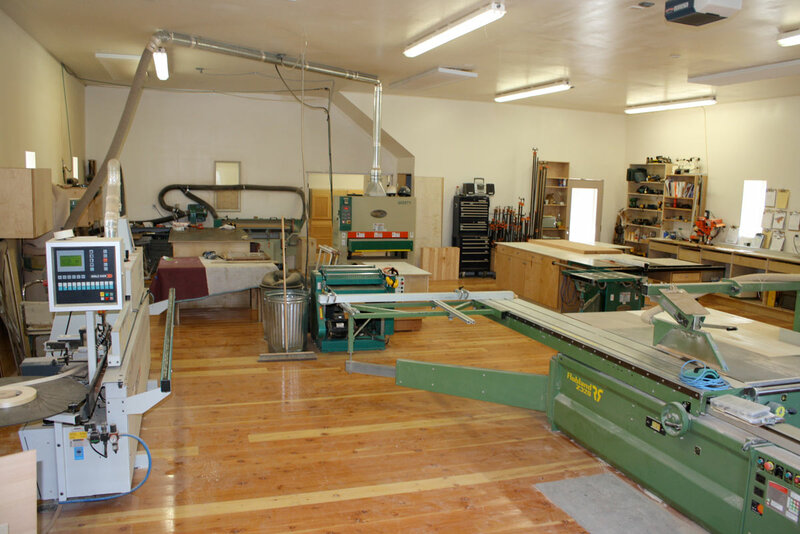 These well-established Northwest artisans of green-built finish work have put their skills to work in creating their state-of-the-art woodshop, literally a stone’s throw from their gallery in Edison, a creative hub in Skagit County. The new collection of furniture is built from materials salvaged from the shop’s former interior. 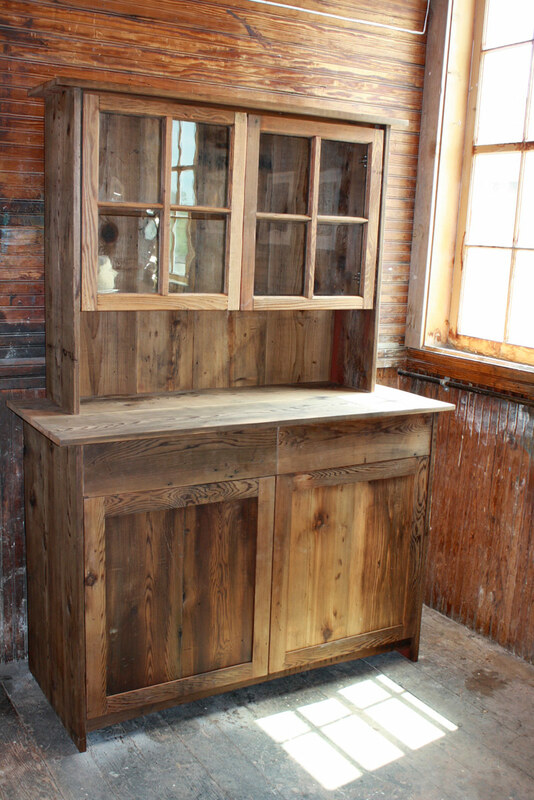 Since 1997, Smith & Vallee Woodworks, Inc. has been designing and building furniture and cabinetry from reclaimed lumber and sustainably harvested forest products. Their work has been installed into homes and businesses throughout the Pacific Northwest and beyond. Their creative designs fill the Whatcom Museum’s Family Interactive Gallery and their 2002 exhibit at the Museum titled “The Tree Project” had to be seen to be fully appreciated. When asked why they spent the last year taking on such a huge project, rather than just finding a ready-to-go shop space, co-owner Andrew Vallee had a lot of good reasons. The shop has an abundance of green-built features. 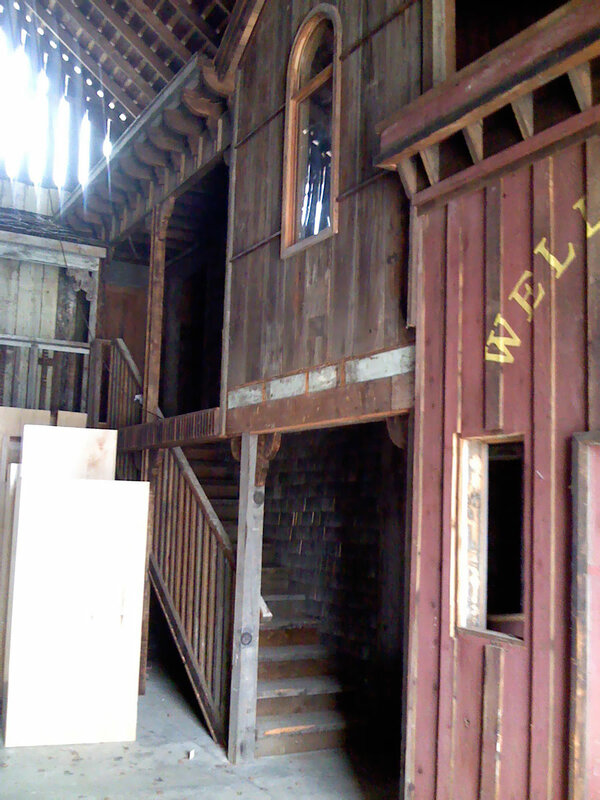 A lot of the original buildings reclaimed wood went into fixing the ancient siding and trim on the restored barn. Super insulated walls, high-efficiency infrared heating panels and new highly-insulated windows make for very efficient space heating. The wood floor is made from repurposed wooden utility poles from a company in Ferndale. Smith & Vallee had the poles milled into flooring and kiln-dried. 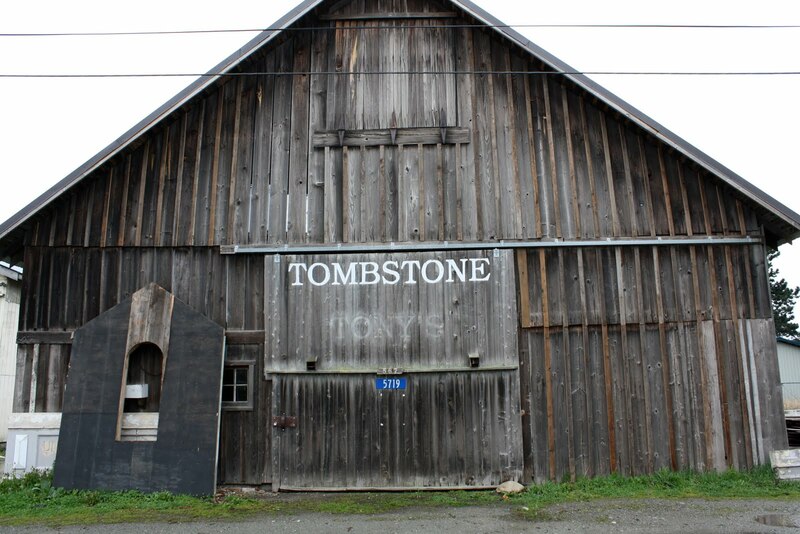 So why “The Tombstone Project?” They have repurposed lumber from the barn’s interior, upcycling it into their latest collection of furniture, titled “The Tombstone project”, named after the original painted “Tombstone” sign on the barn door. And like all of their work, the craftsmanship is premium, while keeping prices affordable. If you haven’t been to Edison lately or at all, here is your chance. Go to the opening on July 9th from 5-8pm. 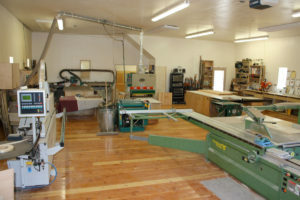 See the new woodshop. Enjoy the gallery. Get there earlier and check out the Lucky Dumpster as well. Just the kind of place to find your own treasures to transform.